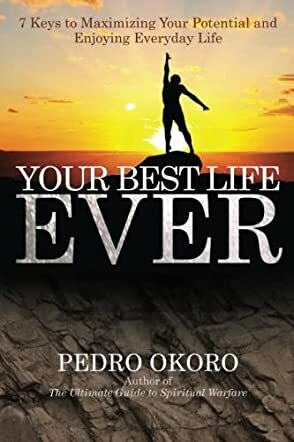 Your Best Life Ever: 7 Keys to Maximizing Your Potential and Enjoying Everyday Life by Pedro Okoro is an uplifting book that will encourage readers to believe that they can make things happen if they set their minds to it. The book speaks about the word 'impossible' and the mistakes we all make as we fall into the trap the enemy sets for us in order to keep us from living our best life ever. The book also reiterates the power and presence of God in our lives, and asks readers to delete the word 'impossible' from their dictionaries so that they can maximize their potential and be everything God has created them to be. I found the book helpful and I would recommend it all those who want to make positive changes in their outlook and life. The principles on which the book is based are biblical and the author has used inspiring quotes from the scriptures where the importance of God is highlighted. The seven practical steps provided by the author are helpful and readers will find these useful. The topics have been handled methodically and extensively, and the author’s neat and elegant style of writing makes it easy for readers to understand and apply these into their lives. The author handles a relevant topic with a fresh outlook, making it an interesting read. I am sure we will all remove the word 'impossible' from our dictionaries once we finish reading this book.